Welcome to the home page for the International Communication Division of the AEJMC! The ICD is dedicated to education in international journalism and mass communication. Please browse our latest information for what interests you or go directly to one of our main categories. Thank you and enjoy! Reginster now the ICD pre-convention teaching workshop at the San Antonio AEJMC Convention! This ICD workshop "Whatever Happened Latin America?" will run from 5:30-10 p.m. Tuesday, August 9. For more details, click here or contact ICD Head Robyn Goodman. NEW BOOK FROM ICD!! Interested in internationalizing your course? Then, get this helpful booklet "50 Fabulous Way to Internationalize Your Journalism and Mass Communication Courses" in only $10! See an update on ICD History section! 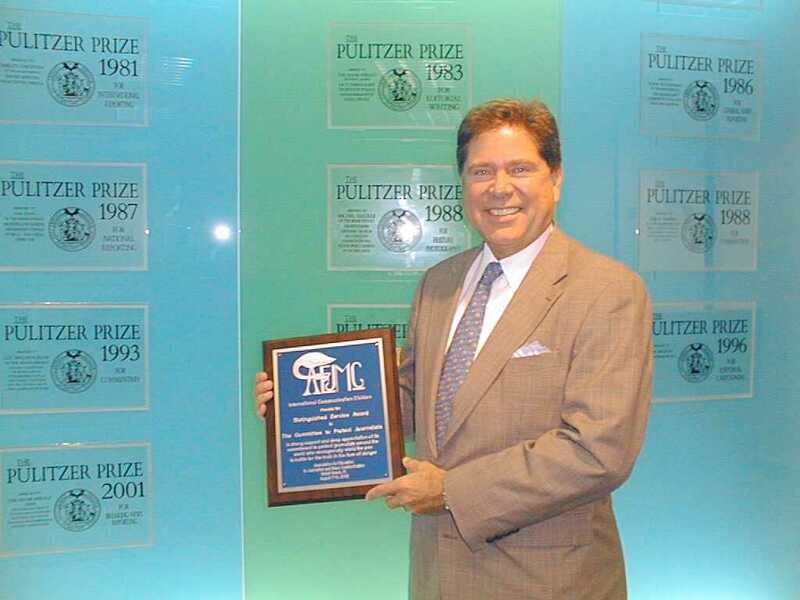 The International Communication Division of the AEJMC, gave the 2001-2002 Distinguished Service Award to the Committee to Protect Journalists (CPJ) in support and deep appreciation of the efforts of the CPJ to protect journalists around the world, many of whom work in hazardous conditions. For more details, click here. Last updated December 20, 2004. All information found in this site is ©2004 the International Communication Division of the Association for Education in Journalism and Mass Communication.